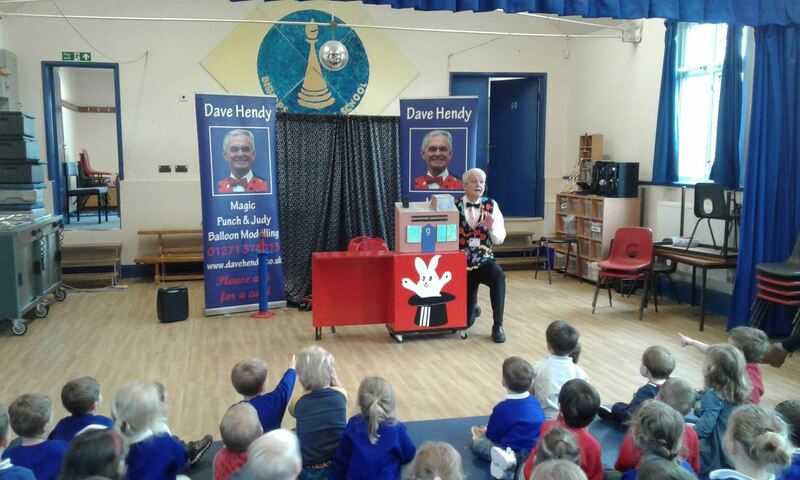 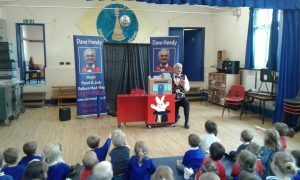 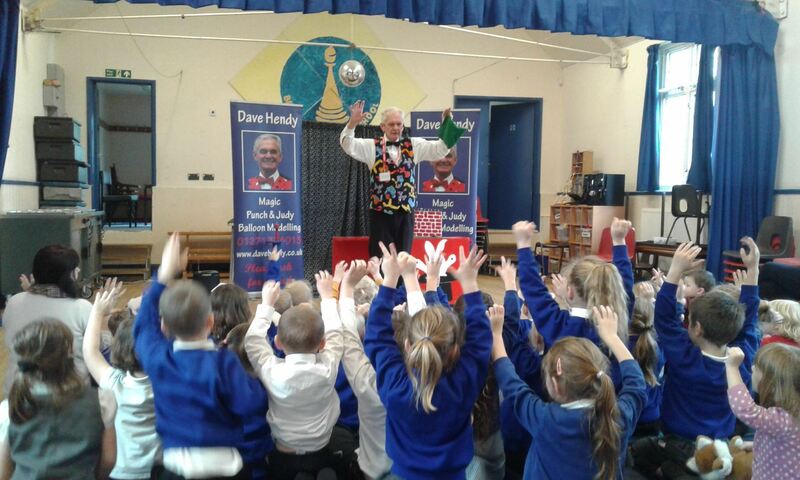 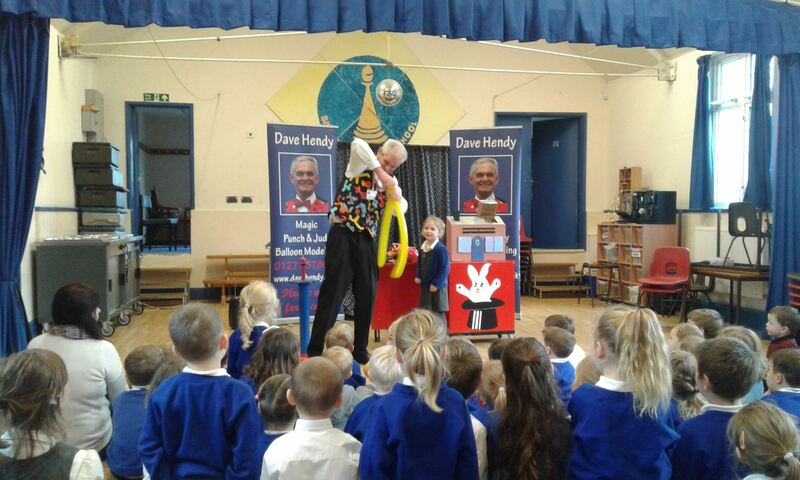 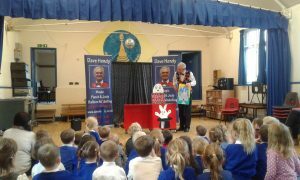 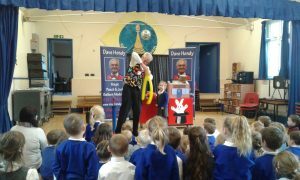 On Monday Dave Hendy the magician came to visit Pre-school and Class 1. The children were all very excited and they loved watching his magic show and balloon modelling. 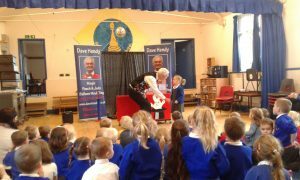 The children all joined in with Dave, they enjoyed shouting out and taking part. 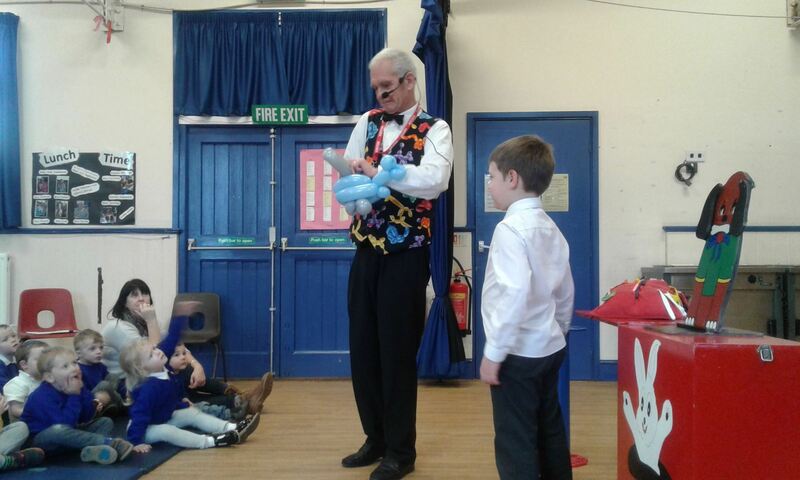 Some of class 1 children assisted Dave in his magic and they were given balloons to take home. 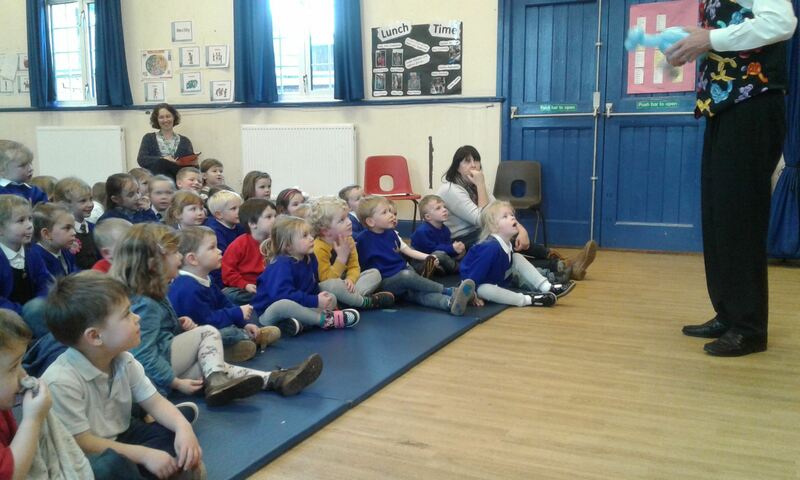 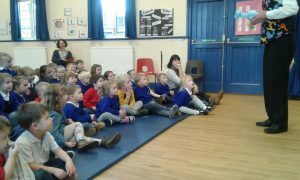 The children were all well behaved and sat excellently during the show.